Another treat I gave myself on my birthday last week was an appointment to the Occulter boutique. Conceived by Derrick R. Cruz of Black Sheep & Prodigal Sons, Occulter is a collective that includes his incredible line of "Dark and Uncommon Goods," and work by fellow jewelers and artists with a shared aesthetic. In the small space that doubles as a studio, one finds gothique baubles, fine teas, black honey, alchemical books, and wax Morrisey effigies. It's impeccably curated, and each item is designed with an eye toward deluxe mystery. I look forward to visiting again soon. Astier de Villatte is one of those brands that seems to get everything right. They've got a gorgeous, divination-themed web site, and their housewares and beauty products are designed with a perfect combination of luxury and mystery. One day I'm going to splurge at John Derian and finally buy one of these notebooks. DARR - Antique shop with an industrial and delightfully macabre edge. Swallow - If I could make my entire apartment look like this heavenly shop, I would be a happy bunny indeed. It's like a modern, enchanted forest with glass objects and wonders galore. Barneys Home Floor - Yes, I know, this is way out of my league. But I am always impressed by their selection of unusual and original pieces, not to mention their stunning displays. De Vera - Yes, I know, I know, I've mentioned this place many times over, but really, it is magnificent. Please visit if you haven't already. Mind-boggling objects from around the world, curated like an eccentric's personal museum. Lafco - A monastery-like shop with a beautiful wrought iron gate for an entrance. They carry beautiful European products, including the exquisite Santa Maria Novella bath and body line. John Derian Company - Creator of breathtaking decoupage platters and plates, carrier of fine trinkets and linens. 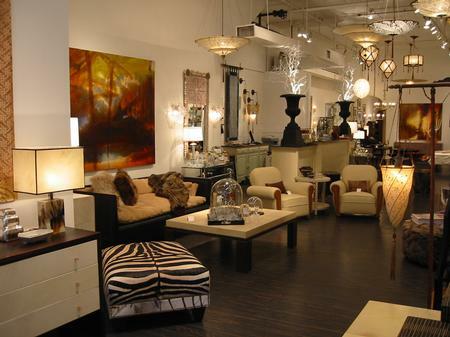 Distant Origin - Exotic, deluxe furniture and objects from around the globe. Leekan Designs - Importer of Eastern furniture and curios. Evolution - Purveyor of fossils, taxidermy, and natural wonders. MoMA Store - Home of all things modern and innovative, as one would expect. Dinosaur Designs - They manufactor resin housewares and jewelry in luscious colors and varying degrees of translucence. Really, it all looks like a gorgeous chaos of candy. 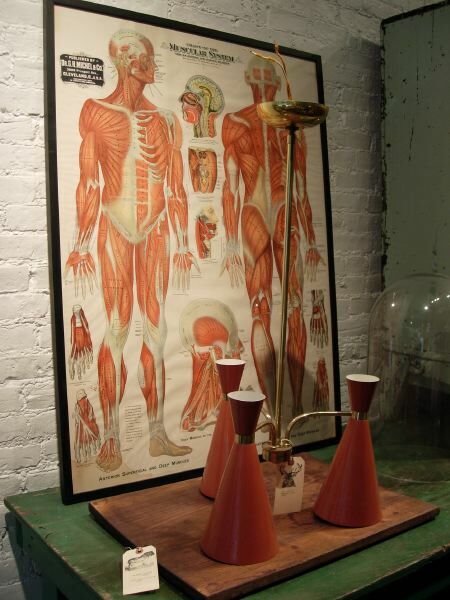 Obscura Antiques and Oddities - The name says it all. Pearl River - Chinese megastore, filled with plates, papers, and knick-knacks from the Orient. The only place on this list I can actually afford.